Microsoft Excel is a database program used practically by a lot of people at home and office. Most of the businesses and companies are using the program to tabulate data and information. This program has so many features that anyone who utilizes it should understand every bit of information and command, to use it effectively. One of the most useful features in Microsoft Excel is the Paste Special. It gives users the capability to do array of known function. Through this feature, user can create related formulas and perform mathematical functions to transpose data. There are different ways on how to use Paste Special as some users utilize different kinds of Excel program. So, to help out all Microsoft Excel users, below are the procedures in using Paste Special in Microsoft Excel 2003 and Microsoft Excel 2007 as this is the most common program of Microsoft Excel that is being used nowadays. Before discussing the procedures in using the feature, it is vital to know first what this program is about. Well, the Paste Special command is just like Paste command. 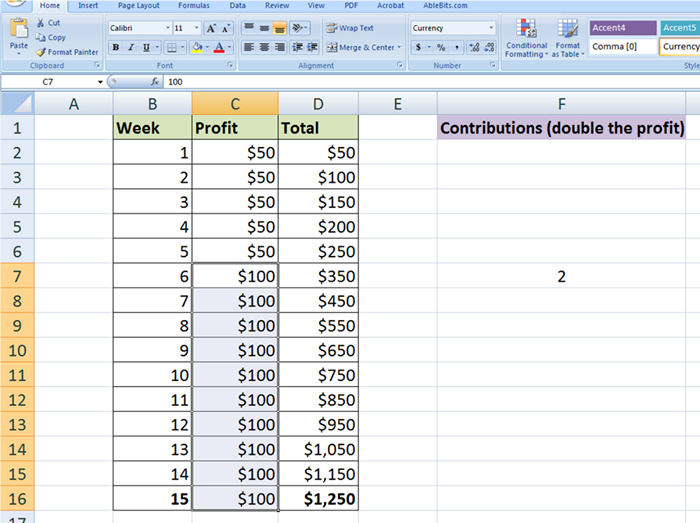 It can select arrange cell content, cell formats and calculated numbers. This command can copy contents and format the original data, which is accessible once the desired selection is finally cut or copied. Learning the basics of what is it, is as well understanding how it could be used in Microsoft Excel program. To help Microsoft Excel users, listed below are the ways on how to use the feature. The procedures given are use in different Microsoft Excel Program. So, choose for the one that contains the same program to what you are using. Open the computer and the files containing the data to copy. Open another Microsoft Excel spreadsheet. You can access the program through the Start Button. Once the entire needed database is already open, then from the spreadsheet containing the data to copy, highlight the cells that need to be copied. On the new spreadsheet, right click the cell where to paste the copied data. From the menu, select the “Paste Special”. Then choose your own command from the displaying menu. Hit the “OK” button. After hitting the “OK”, it will paste the exact command given. Using the Microsoft Excel 2003 for Paste Special is very easy. However, there are still things to keep in mind using Paste Special in Microsoft Excel 2003. Firstly, if the paste information is not correct, immediately, choose “Undo” located at the “Edit” menu. It is vital to remember that the clipboard will stack things, so it is necessary to clear the clipboard from time to time to avoid pasting the wrong data. Choose the data you want to copy and then select “Copy”. There are two procedures on how to copy the data. First, right click the mouse within the area of spreadsheet and choose “Copy” or through the copy icon from the Ribbon Home Tab. If you are not familiar with Ribbon, it is the numbers of tools and icons located above the working area. On the Ribbon Home Tab click the drop down menu on “Paste” and click the “Paste Special”. Click the cell or array of cells where the data to be displayed and click again the drop down menu of “Paste” and choose the “Paste Special”. From the “Paste Special” dialog box, opt for the operation you want to do and then click “OK”. In this given command, the operation is good after you have done it correctly. There are so many choices available. For instance, you are able to transpose the list of information that you have to display in a reverse manner. You may be able to paste the value copied from another workbook or spreadsheet and then link it so that every time you edit the original cell it automatically update. You can follow these procedures for Paste Special feature in Microsoft Excel 2007. The same with the Microsoft Excel 2003, once you pasted an incorrect data, click the Undo button instantly. In addition, as much as possible read first all the commands that you need to click to ensure of giving the right instructions to Excel. Paste Special feature in Microsoft Excel will definitely let you have an easy Excel use when it comes to adding notes and list to spreadsheet. So, better keep in mind all the procedures taken in this article to make you capable of the right procedure in using Microsoft excel.